Over the past 28 years, King’s Spark Innovations has established itself as a reputable resource for idea people. The company is an award-winning industrial design and products development firm. They specialize in working with clients to bring their visions to life and nurturing them into self-sustaining businesses. 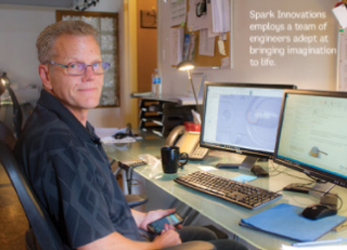 The Spark team is comprised of mechanical engineers and industrial designers, with a broad skill set. 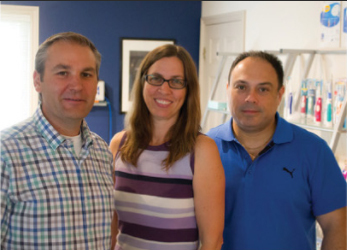 Operating out of an unassuming house on King Road, Spark Innovations’ design studio is an impressive powerhouse. Their main floor showroom features a wide assortment of materialized ideas. There are three types of notions: the kind that you’re happy keeping to yourself, the kind that you want to bring to life (just to say you did), and the kind that could make you rich. If you have an idea but, haven’t acted on it, chances are you also have a few reasons holding you back. Maybe you don’t know where to start. Perhaps you are worried about somebody stealing it, or you aren’t sure it is doable. Many of the world’s best, most significant and lucrative inventions were born out of a combination of frustration and intimate insight. Just think of how things like the belt buckle, cup or blanket ended up as household items. Somebody got tired of tightening that rope around their waist or bringing water to their face instead of their face to the water, or they were cold and didn’t like it. So, they did something about it. The only reasons we know about them are that the people who came up with those solutions weren’t the only ones who had those problems and the products they came up with were makable. Plus, they relied on the right resources. More than likely, the world has missed out on a lot of brilliant ideas that never got explored just because those people didn’t know who to consult with on next steps. Sometimes, people arrive at Spark with little more than ideas to get things going. In other situations, products already exist, and clients want to turn them into something better. Spark collaborates with innovators to evolve ideas into a concept by exploring variations of those ideas. 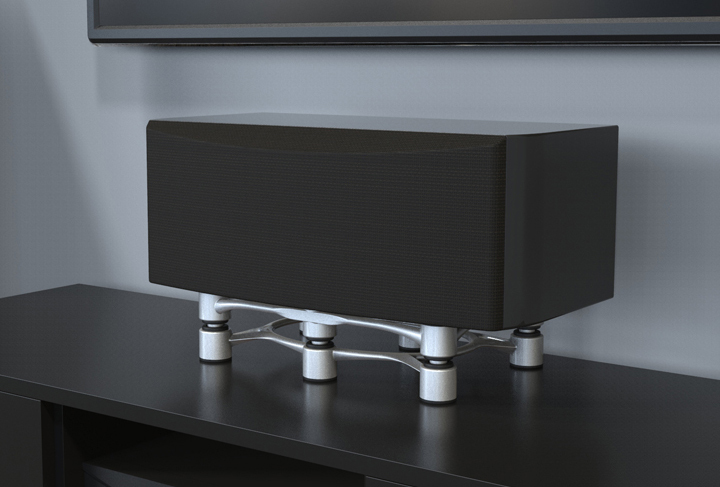 Once ready to proceed, Spark’s team of designers and engineers materialize concepts with professionally produced models and drawings, ready for application. Their output is used for everything from rapid prototypes on Spark’s 3-D printer to product manufacturing and marketing. Spark Innovations is a one-stop shop. They are adept at working with clients to develop prototypes, acquire patents, develop distribution channels and navigate the details related to bringing concepts to reality. 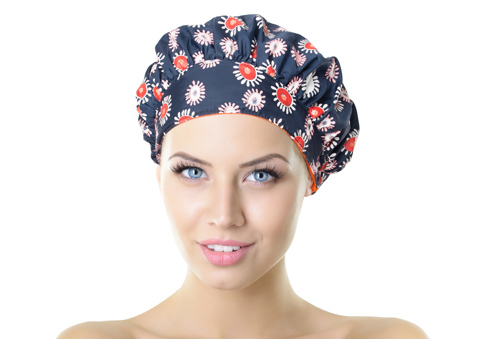 The company attracts a mix of clientele, servicing both large and small enterprises. Projects can be a re-imagination of an existing item, or they can be the solutions to age-old problems. In some cases, clients just need a final push to the finish line by way of a prototype, set of production drawings, or a website with e-commerce capability. The intellectual property that people walk in with will remain theirs. In most cases, consumers and end-users have no idea that Spark was involved when they pick up something great that solves a headache for them. All they want to do is buy the product and take it home. Spark does more than collaborating on materializing ideas. They also help you make sure that those ideas remain yours to benefit from, offering a wealth of resources and expertise related to patent development. When Alessandro Volta came up with electrochemical battery cells, he made sure to protect his interests by patenting his discovery. Robert Noyce did the same with the microchip, which he created along side of Jack Kilby. Thanks to Noyce and Kilby, most people have long since forgotten the days when computers took up large rooms and needed several days to process information. Though credited, Kilby didn’t hold the microchip patent. He did hold patents for inventing both the hand-held calculator and the thermal printer. What Volta, Noyce, Kilby, and so many others, had in common was how knowledgeable and immersed they were in the problems they were solving. Volta was a physicist. Noyce and Kilby were electrical engineers. Not every idea needs to be that revolutionary to be worth protecting and exploring. One of Spark’s clients worked in heating, air conditioning and ventilation. He was always going out on calls to offices where the ceiling air vent was blowing cold air right above somebody’s desk. 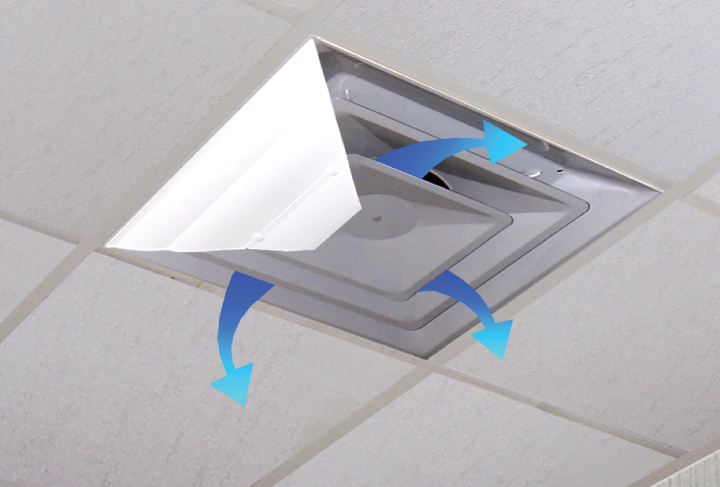 Working with Spark, he developed a deflector (shown at middle right) that easily attaches to most ceiling vents and diffuses air along the ceiling, improving air circulation and making a lot of office workers much happier. It was a simple idea that turned into a nice business for their client. Another obstacle which keeps people from exploring great ideas further is their lack of certainty that their idea is original enough. Spark’s extensive experience and access to legal experts who specialize in patents will ensure that the concept you come up with is one you can defend and monetize. With Spark Innovations, turning an idea into a self-sustaining business is likely easier than you imagine. After protecting your ideas, the next hurdle Spark helps clients overcome is making sure the idea is physically possible to manufacture. The team does everything from determining the ideal materials to use, through to developing the product’s ergonomic and aesthetic appeal. So, yes, it makes sense why most people don’t take their ideas further, despite being armed with solutions to problems that irritate a lot of people. Then again, maybe the only thing you need in order to go from thinking about it to holding it in your hand is asking for a signed non-disclosure agreement and having a conversation with the right people.